From next season we will be the new Official Retail Partner together with Nike as Official Kit Supplier for Danish top club FC Nordsjælland. We are very happy to announce that Unisport will be serving Nike kits and equipment to FC Nordsjælland's Superliga, Women's, and Academy teams. The cooperation will commence from the beginning of the 2019/2020 season and the club's new kits will be released for fans to experience in the middle of June 2019. Unisport is one of the most innovative companies in the Danish landscape and we are very happy to be able to combine them with the best sports brand in the world – Nike – to create a unique partnership that supports our mission to give more incredible young people the right to dream on and off the pitch. FC Nordsjælland was founded in 2003, and has over the last years been one of the top teams in Danish football, with one league championship from the 2011/12 season. The club is famous for developing talented football players, and have an exceptional young squad. FC Nordsjælland has also participated in the group stage of Champions League in 2012. 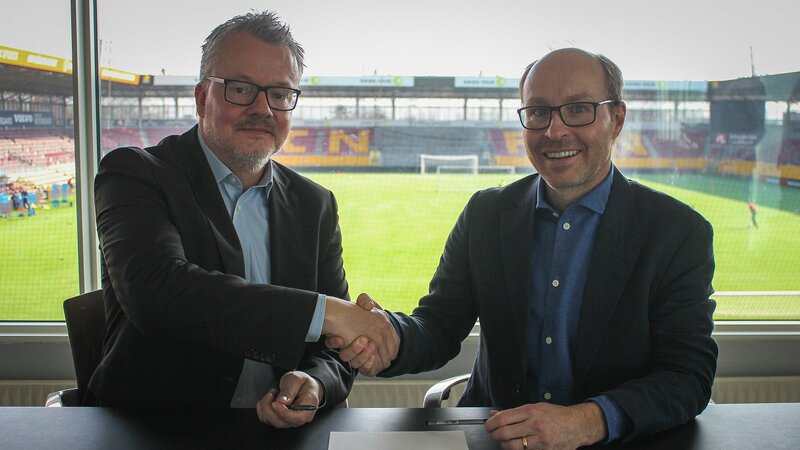 We are thrilled to be creating this new partnership by agreeing this deal to become the official retail partner at FC Nordsjælland. We, along with Nike, who are supporting this deal, feel FCN is a special club. Both their academies, in Denmark and in Ghana, are producing phenomenal talents and people, boys and girls, in a completely different way. You can feel the place is built to develop young individuals with a sense of purpose with their football, that goes beyond what’s in front of their own noses. FCN is a fast growing young club, who does things differently, and the same can be said about Unisport. So it matters to us, that FCN is a member of Common goal, that their Superliga team currently by far is the youngest in the European topflight - a clear testament to the amazing work going on in the academies - and of course the huge commitment the club has made to girls- and women’s football in Denmark. The partnership between FCN, Unisport and Nike secures all Tigers, in all ages and both genders, will play and train in Nike kits from the summer of 2019 and the following 4 years. If you are wondering why tigers will be running around in Nike kits, now is a good time to let you know that Tigers is the nick name of the young and hungry club from Nordsjælland. Nike and Unisport are now a part of the FCN family, and we are welcoming them with open arms. This partnership significantly enhances our offering to the fans, and we can’t wait to show them what we are planning later this summer. But even more crucial is what resources this deal will give to our academy, women’s and Superliga teams. It will bring us closer to achieve our goal of playing and winning with a team made up entirely of academy graduates. Needless to say, we are very much looking forward to starting next season together with FC Nordsjælland, and Nike. Stay tuned to our website and social channels during the summer to get the first glimpse The Tigers new kits!